Sergei Eduardovich Bortkiewicz was born in Kharkov (Ukraine) on the 28th February 1877 as the second child of Eduard Bortkiewicz (Vitebsk 1835-Kharkov 1912) and Sophia Kazimirova Uszynska (Kharkov 1850- Novorossiysk 1920). Sergei had one (older) brother, Vladimir, and two (younger) sisters, Vera and Evgenia. He spent most of his childhood on the family estate of Artiomowka, 24 kilometers from Kharkov. During that time he got piano lessons from Ilja Slatin, the headmaster of the school of music in Kharkov and from Alfred Bensch. 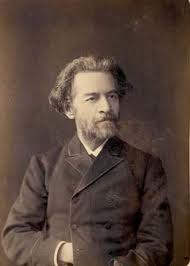 After graduating from the grammar school in Kharkov in 1895, Bortkiewicz went to St. Petersburg to study law and to join the Imperial Conservatory of music. At the Conservatory Bortkiewicz recieved his piano training from Karel Pieter Hendrik van Ark (1839-1902), who was recommended by Alfred Bensch. For the first half semester Bortkiewicz had to prepare himself with Van Ark’s assistant, Paul de Conne (1874-1959), who had graduated from the Conservatory in 1895 being awarded its highest prize. Van Ark was a pupil of Leschetizky and Brassins. According to Bortkiewicz in his Erinnerungen he was an excellent and much respected pedagogue ‘but I can’t say he was very sympathetic towards me. He was often rude and moody. His teaching was very remarkable. Very often he left the Conservatory after 23.00h. Students had to wait for hours till their turn came. Often one waited in vain and was consoled at the next hour of instruction. It was very exhausting and much time was lost.’ Bortkiewicz studied theory with Anatol Liadov (1855-1914). He did not go to the classes of Rimsky-Korsakov and Glazunov because his major field at that time was the piano, while both Rimsky-Korsakov and Glazunov held special classes for theory and compositions. In his student years, Bortkiewicz was already yearning to study music in Germany. With his best friend and fellow student, the painter Sergei Sagoskin, who wanted to study painting in Italy, he undertook a Grand Tour abroad. They went on a trip to Istanbul, Smyrna, Crete, Athens, Napels, Rome, Genua, Milan, Venice and Vienna. The student uprise in St. Petersburg in 1898 prevented Bortkiewicz from completing his exams at the Law faculty. The university was closed by the Russian authorities and all students had to extend their studies for one year. Bortkiewicz decided to leave the university. Since he had to complete his military service, before he could be permitted to study abroad, he enrolled in the Alexander Nevsky regiment as a volunteer for one year. In the autumn of 1899 he started his militairy service in St. Petersburg, which did not last long. After a few months he became seriously ill and was treated for a long time in a militairy hospital. After recovering he was discharged from militairy service and in the spring of 1900 he left St. Petersburg. The summer of 1900 he spent on the Artiomovka estate. He practiced the piano a lot, since he wanted to prepare himself for music studies abroad. In the autumn of 1900 he decided to travel to Germany to study music at the Königliches Konservatorium der Musik zu Leipzig (Conservatory of music, nowadays called Hochschule für Musik und Theater “Felix Mendelssohn Bartholdy”). He became a student of the Liszt pupil Alfred Reisenauer (1863-1907), Salomon Jadassohn(1831-1902) and Karl Piutti (1846-1902). 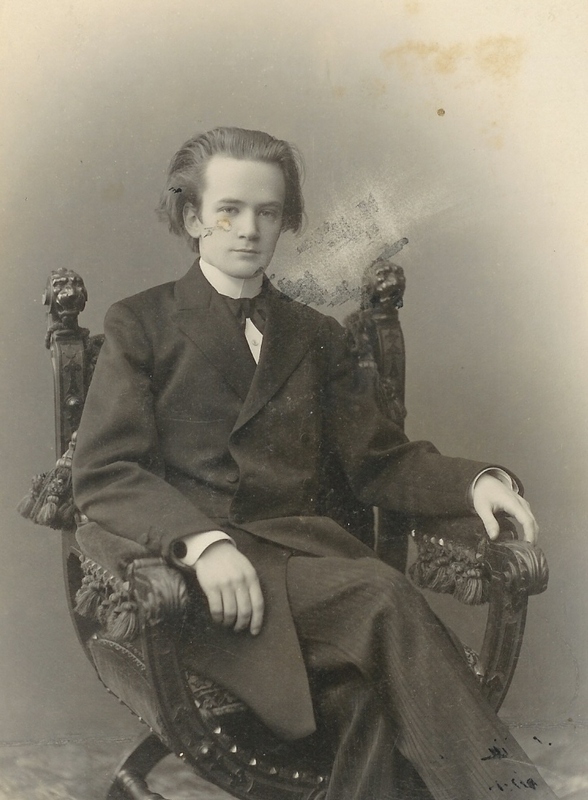 On 8 June 1902 Bortkiewicz was awarded the Schumann prize on graduation. On the 18th July 1904 he married Elisabeth Geraklitova, a friend of his sister Vera. The marriage ceremony took place in a small village church in Makarov Yar near Lugansk on the estate of Elisabeth Geraklitova’s uncle, the Earl Marshal Sergei Michailowitsch Ilyenko. Elisabeth Geraklitova was born in Kharkov on June 1. The year of birth is still uncertain: it is somewhere between 1880-1883. She was a daughter of Wladimir Geraklitov (Kasan 1840 – ?) and Kleopatra Ilyenko (Kharkov 1849 – Lugansk 1925). In the autumn of 1904 Sergei and Elisabeth Bortkiewicz traveled to Germany where they settled in Berlin.